Disciplining yourself is a lot like dying to yourself. The closer you get to the Lord Jesus the more you understand the need to. It’s never easy, but it’s always brings you closer to Him. 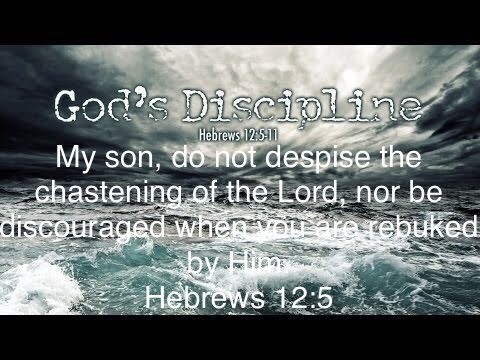 My son, do not despise the chastening of the Lord, nor be discouraged when you are rebuked by Him. Now may the God of peace make you holy in every way, and may your whole spirit and soul and body be kept blameless until our Lord Jesus Christ comes again. This entry was posted on August 14, 2018 at 8:19 am and is filed under One Walk. You can follow any responses to this entry through the RSS 2.0 feed. You can leave a response, or trackback from your own site.